A network hub is often called a multi-port repeater, it is a network component used in connecting the node in a physical star topology network into logical bus topology. A hub contains multiple ports that you can easily connect devices to. Whenever a transmitting data is sent to the hub port other ports get the information and transmitted it to all other ports as well so that all other nodes receive the data. However, only the specific destination node reads and processes the information in the data whereas other node ignores it. Specifically the two common types of hubs are passive and active, the others are the later. In definition a passive hubs simply means that is has its ports wired together physically. It also connects devices plugged into it without the use of power otherwise acting like a patch panel. While in the other hand, an active hub is a true multi-port repeater. It receives incoming data and re-transmits it out all ports with a signal boost. Intelligent hubs add extra features to an active hub that are of particular importance to businesses. An intelligent hub typically is stackable (built in such a way that multiple units can be placed one on top of the other to conserve space). Intelligent Ethernet hubs also typically include remote management capabilities via SNMP and virtual LAN (VLAN) support. Switching Hubs: These hubs actually read the attributes of each unit of data. The data is then forwarded to the correct or intended port. Most hubs can detect basic network errors such as collisions, but having all information broadcast to multiple ports can be a security risk and cause bottlenecks. In the past, network hubs were popular because they were cheaper than a switch or router. 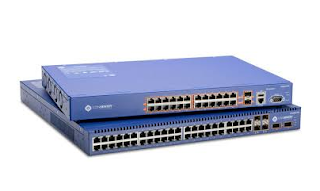 But Today, in the network industry switches do not cost much more than a hub and are a much better solution for any network. In general, a hub refers to a hardware device that enables multiple devices or connections to be connected to a computer. An example is a USB hub, which allows multiple USB devices to be connected to one computer, even though that computer may only have a few USB connections. Autosensing 10/100Mbps switched ports with auto MDI/MDI-X crossover detection. Up to 200Mbps full duplex bandwidth on each port. Compact size fits into any environment. Address Learning and Aging, and Data Flow Control for enhanced transmission.